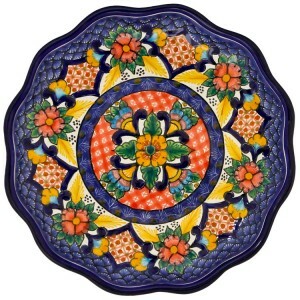 Talavera ceramic is mostly used to make utilitarian items such as plates, bowls, jars, flowerpots, sinks, religious items and decorative figures. However, a significant use of the ceramic is for tiles, which are used to decorate both the inside and outside of buildings in Mexico, especially in the city of Puebla. 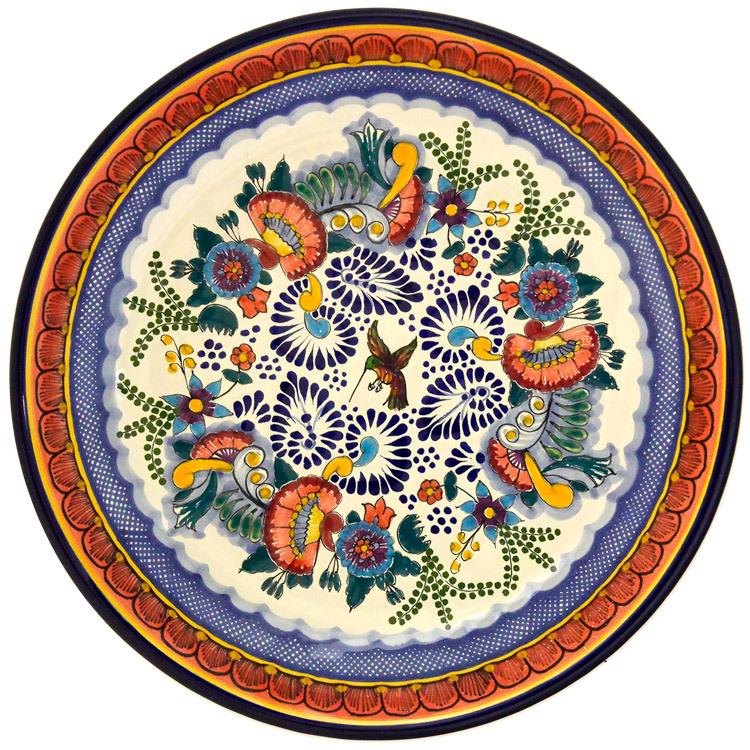 The Puebla kitchen is one of the traditional environments of Talavera pottery, from the tiles that decorate the walls and counters to the dishes and other food containers. It is a very distinct style of kitchen. 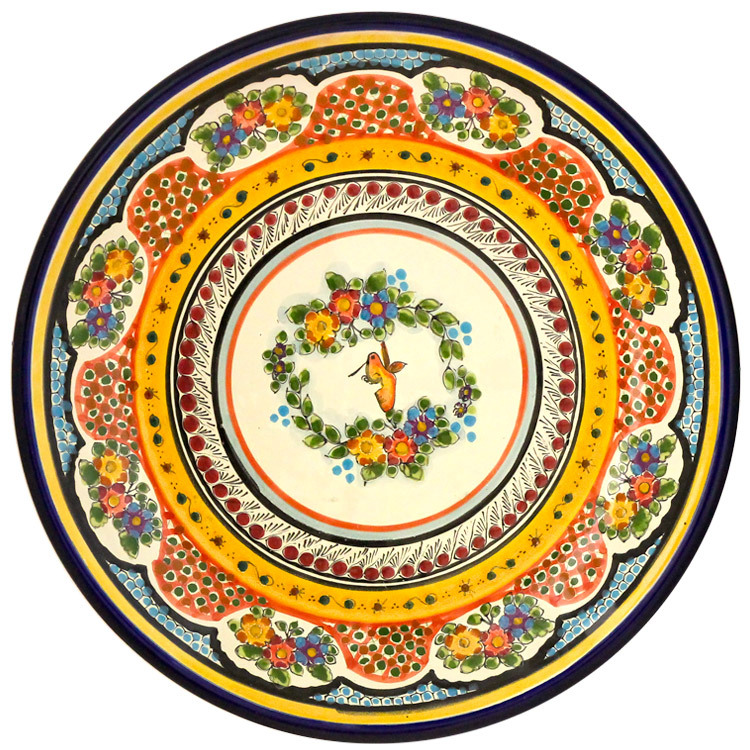 In monastery kitchens of the area, many of the designs also incorporate the emblem of the religious order. Many of the facades in the historic center of Puebla are decorated with these tiles. These tiles are called azulejos and can be found on fountains, patios, the facades of homes, churches and other buildings, forming an important part of Puebla’s Baroque architecture. This use of azulejos attested to the family’s or church’s wealth. This led to a saying “to never be able to build a house with tiles”, which meant to not amount to anything in life. Being able to show this kind of wealth was not restricted to Puebla. In Mexico City, the church of the Convent of La Encarnacion and the church of the Virgin of Valvanera both feature cupolas covered in Talavera. The most famous example of Talavera in the capital city is the Casa de los Azulejos, or House of Tiles, which is an 18th-century palace built by the Count del Valle de Orizaba family. What makes this palace, in the City of Palaces, distinct is that its facade on three sides is completely covered in expensive, blue-and-white tile – sensational at the time the tiles were applied. Talavera, in Puebla, Mexico, is a type of maiolica pottery, which is distinguished by a milky-white glaze. 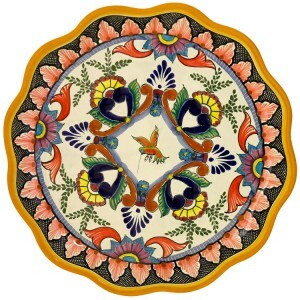 Authentic Talavera pottery only comes from the city of Puebla and the nearby communities of Atlixco, Cholula, and Tecali, because of the quality of the natural clay found there and the tradition of production which goes back to the 16th century. 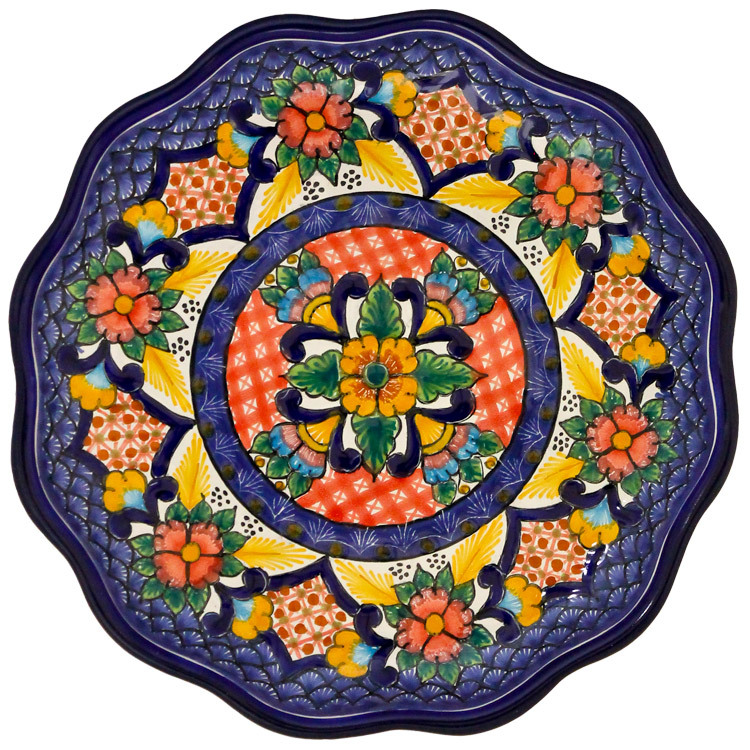 Much of this pottery was decorated only in blue, but colors such as yellow, black, green, orange and mauve have also been used. 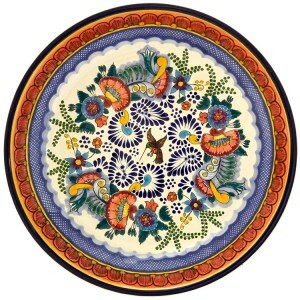 Maiolica pottery was brought to Mexico by the Spanish in the first century of the colonial period. 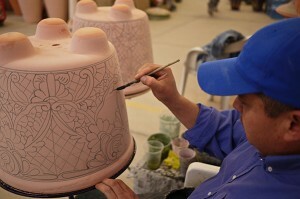 Production of this ceramic became highly developed in Puebla because of the availability of fine clays and the demand for tiles from the newly established churches and monasteries in the area. The industry had grown sufficiently that by the mid-17th century, standards and guilds had been established which further improved the quality, leading Puebla into what is called the “golden age” of Talavera pottery (from 1650 to 1750). Formally, the tradition that developed there is called Talavera Poblana to distinguish it from the similarly named Talavera pottery of Spain. 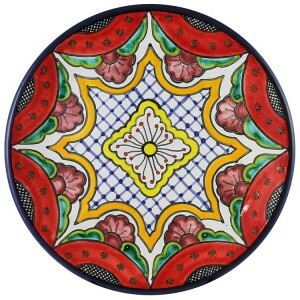 It is a mixture of Italian, Spanish and indigenous ceramic techniques. The tradition has struggled since the Mexican War of Independence in the early 19th century, when the number of workshops were reduced to less than eight in the state of Puebla. 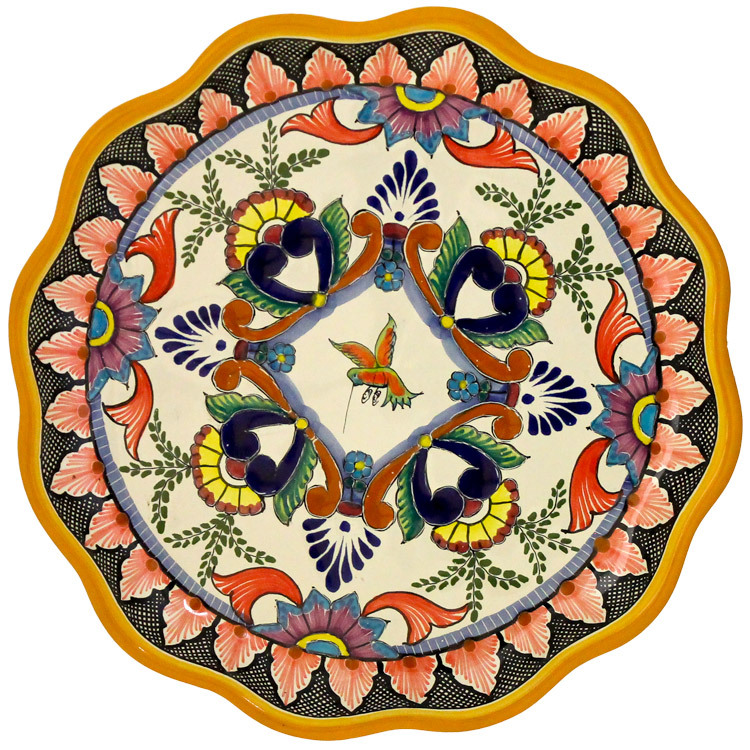 Later efforts by artists and collectors revived the craft somewhat in the early 20th century and there are now significant collections of Talavera pottery in Puebla, Mexico City and New York City. 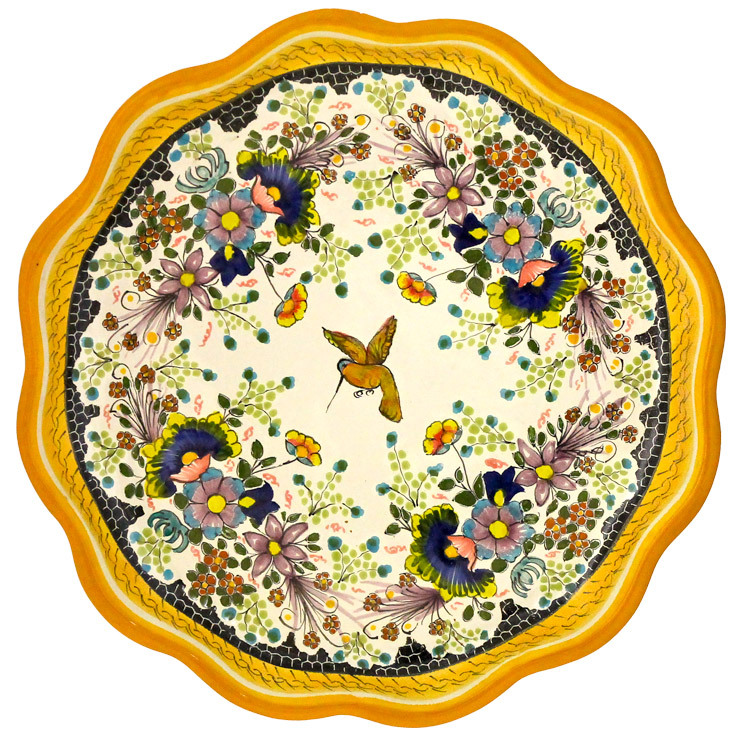 Th e period between 1650 and 1750 was known as the Golden Age of Talavera. Puebla became the most important earthenware center of New Spain. Pieces were shipped all over the territory, and were sent to Guatemala, Cuba, Santo Domingo, Venezuela and Colombia. 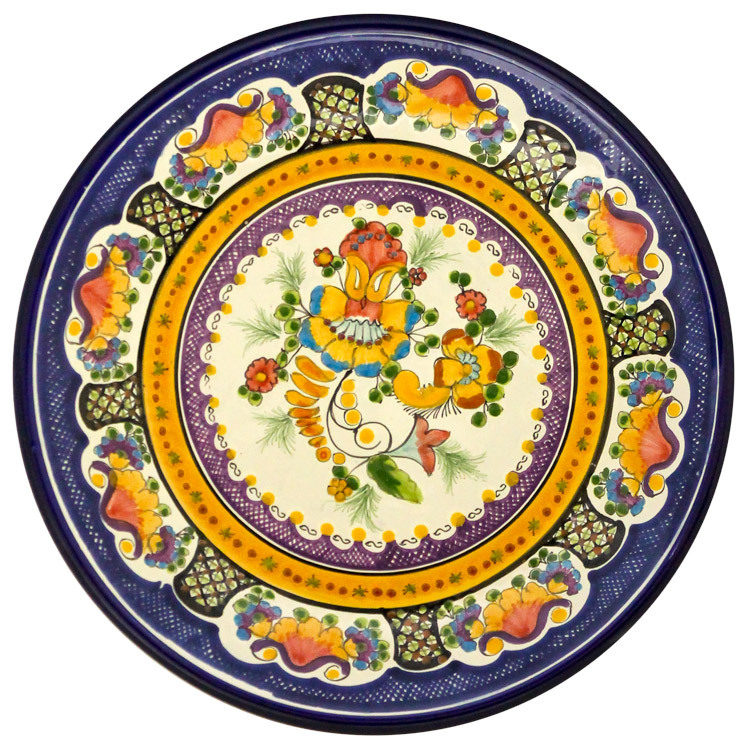 During this time, the preferred use of blue on Talavera pottery was reinforced by the influence of China’s Ming dynasty through imported Chinese ceramics that came to Mexico via the Manila galleons. 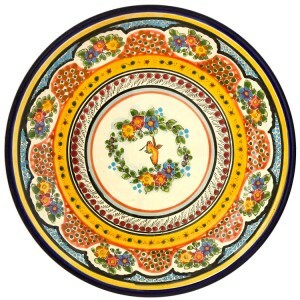 Italian influences in the 18th century introduced the use of other colors. During the Mexican War of Independence, the potters’ guild and the ordinances of the 17th century were abolished. This allowed anyone to make the ceramic in any way, leading to a decline in quality. The war disrupted trade among the Spanish colonies and cheaper English porcelain was being imported. The Talavera market crashed. Out of the forty-six workshops that were producing in the 18th century, only seven remained after the war. In 1897, a Catalan by the name of Enrique Luis Ventosa arrived to Puebla. Ventosa was fascinated by the history of the craft which was unique from other art forms in Mexico. He studied the original processes and combined it with his knowledge of contemporary, Spanish work. 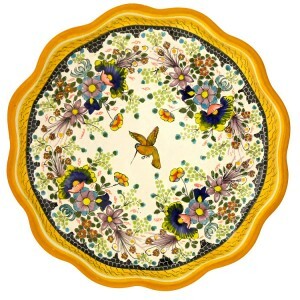 He published articles and poems about the tradition and worked to decorate ceramic pieces. In 1922, he befriended Ysauro Uriarte Martinez, a young potter, who had inherited his grandfather’s workshop. The two men collaborated to create new decorative designs, adding pre-Columbian and Art nouveau influences to the Islamic, Chinese, Spanish and Italian influences that were already present. They also worked to restore the former levels of quality. Their timing was good as the Mexican Revolution had ended and the country was in a period of reconstruction.